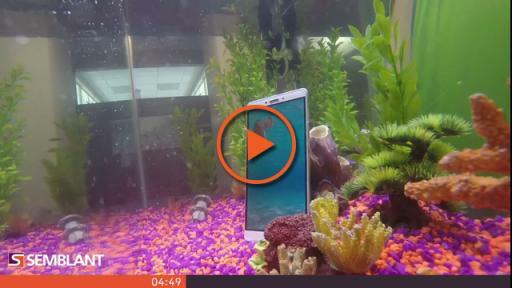 You Dropped a Phone in the Toilet—You Won’t Believe What Happens Next! So you dropped your phone in the toilet. Trust me, you’re not alone. Every two seconds, 173 phones are damaged in the U.S. by being dunked, splashed, sprayed, or spilled on! In fact, 66% of damage to phones involves moisture. Face it: We’re a nation of klutzes. Get the upcoming white paper detailing the benefits of Semblant’s approach to waterproofing! Despite all the tips available on the internet involving vacuum cleaners, bowls of rice or kitty litter to salvage your most prized possession, most of the time, they’re beyond repair. Mobile phone makers and carriers feel your pain. You may have noticed some of the latest models claim to be waterproof. You may have even already bought one. But how waterproof is waterproof? Why are some of these phones not passing the test? Because it’s not just getting wet that’s the problem. Think of all the other gross stuff in puddles, toilets, and pools, or even your sweat, that can get into your favorite gadget and destroy the electronics inside. In laymen’s terms, most of the waterproofing methods available are just fancy ways to glue your phone shut, sealing them from the outside in. Other waterproofing methods use materials that contain nasty chemicals that were intended for waterproofing clothes and for teflon pans. While these approaches may keep most of the moisture out (not including what gets in through the headphone jack and other ports), they also make devices virtually impossible to repair. All these discarded electronics are also doing serious damage to our environment. In the U.S. alone, we toss more than 100 million cellphones in the trash every year. Those rejects are now filling up landfills faster than disposable diapers, which leads us to another major problem: Phones and other electronic waste are the source of more than 75% of landfill toxins, including lead, mercury, and chemicals from the waterproofing materials. So that cellphone graveyard near your home? You may want to keep your distance, because these toxins can "leak" out of landfill space and into the ecosystem, directly harming wildlife and contaminating groundwater. But what if you didn’t have to bother with bowls of rice, kitty litter, or other voodoo to save your phone from a watery, toxic death? What if all you had to do was wipe it off and keep on texting? You can; you just need to know what’s inside. One company, Semblant, is making a name for itself in waterproofing technology that protects devices from the inside out against any type of liquid—and the gross stuff that comes with it—using environmentally friendly materials that allow the phone to be recycled, repaired, and reused. There are already 1 million devices each day being treated with Semblant’s technology, which not only promises to make a huge impact to the environment, it’s also saving consumers over $23.5B in repair or replacement bills. So when you go shopping for your next smartphone, make sure it’s more than just waterproof; make sure it’s human-proof!